iP3: Apple to Integrate iBeacon System Into Its Retail Stores? 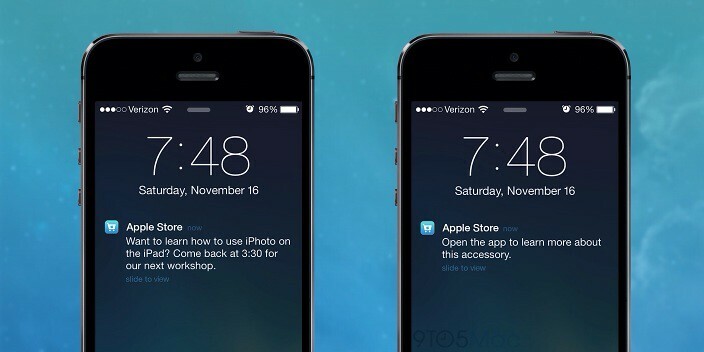 Apple to Integrate iBeacon System Into Its Retail Stores? Apple is planning on integrating the new iBeacon system into its retail stores, according to a 9to5Mac source. iBeacon are a new class of low-powered, low-cost transmitters that can notify nearby iOS 7 devices of their presence, providing apps with a whole new level of location awareness, such as trail markers in a park, exhibits in a museum, or product displays in stores. Apple is said to have begun stocking up on iBeacon transmitters, and the company, in the next few days, will begin installing these sensors in many Apple Stores across the United States. These transmitters will be placed on the tables that house Apple products in addition to store shelves holding accessories. The technology will serve as a way to both improve the Apple shopping experience, and in-turn, boost product sales. The iBeacons will work alongside an updated Apple Store app letting customers receive additional information such as pricing and features when in close proximity to a product. For devices like the Mac and iPad, the system might deliver a notification about an upcoming workshop session related to the product. A select number of Apple Store will begin testing the functionality in the coming weeks. Other uses are said to include: locating customers waiting for Genius Bar appointments, presenting ads or deals, or enhanced security when purchasing products via the Apple Store app. Of course, a user can choose to not receive these alerts. Notably, Apple is also said to be working on an indoor mapping feature for iOS. It's possible that iBeacon transmitters could be used to provide information along routes. Back in September, MLB demonstrated the use of iBeacons by offering fans visiting their stadiums a new interactive experience.